Lighted branches are so amazing and innovative. 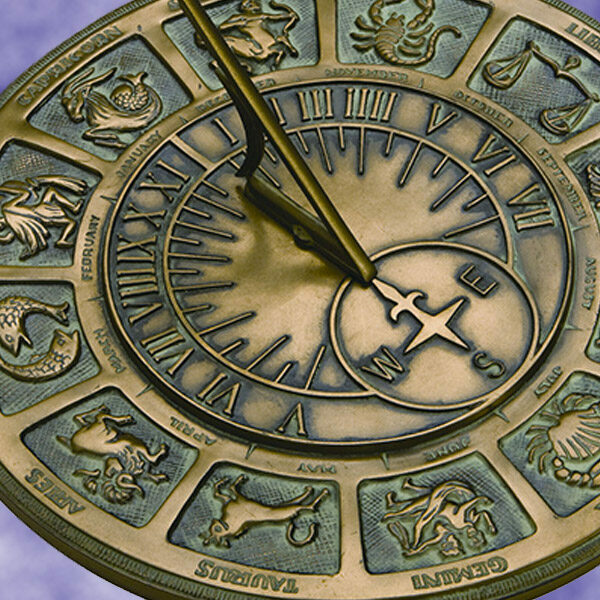 There are a variety of styles to choose from and no shortage of creative possibilities. Some lighted branches climb, some cascade downward, and others are flexible enough to be bent into entirely new shapes! The world of lighted branches is exciting but could also seem a little overwhelming at first with so many options to choose from. To help you decide on the right lighted branch for your outdoor living area, we've placed a guide to all of the different styles, as well as our favorite decorating ideas below. Explore, decorate, and enjoy! The most common type of lighted branch features a very simple design of one center stem with several smaller branches coming off of it. Traditional lighted branches can be placed in a vase or planter on their own to produce a gorgeous glowing accent in a room, or additional picks and sprays can be added to further enhance their decorative appeal. Starburst Lighted Branches - There is so much you can do with starburst lighted branches! They're flexible, shapeable, and full of creative potential. Just a few of the fun DIY ideas using lighted branches include bending them into tree shapes, creating gorgeous chandelier lights and brightening any space with a starburst floral arrangement. We'll talk more about this incredibly versatile lighted branch design in our decorating sections below, however if you can't wait click here to see more now! 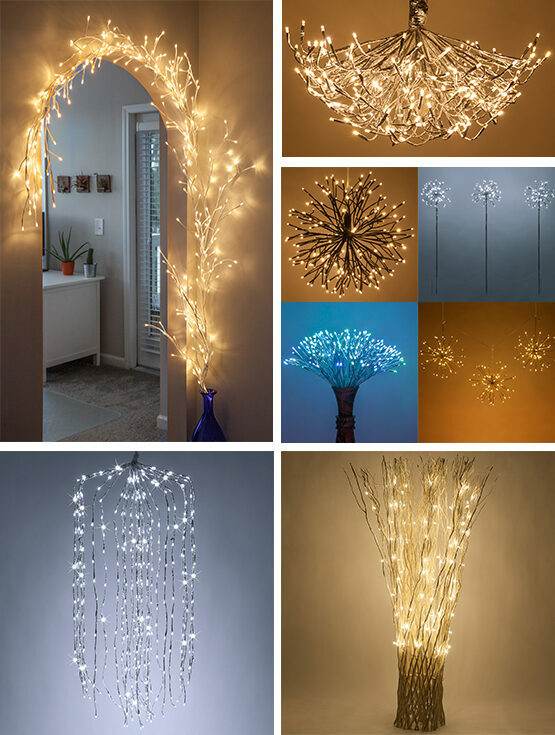 Falling Willow Lighted Branches - This beautiful lighted branch design is incredibly eye catching with multiple offshoots of cascading arms that are lined in LED bulbs. Falling willow lighted branches can be extended out in a radius to create a light canopy inside of an outdoor enclosure such as a gazebo, placed in a tall planter, or used as a sconce light in an entry or hallway. Climbing Vines - Some branches fall while others climb! Climbing branches have a long center branch with dozens of smaller branches and hundreds of LEDs placed throughout. They're also flexible enough to be shaped around architectural accents like archways and columns. Attach climbing vines to a wall or flat surface using strong adhesive hooks and/or clips. 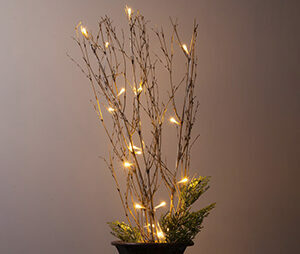 Free Standing Lighted Branches - It's all in the name! These lighted branches are able to stand alone which makes for an incredibly easy setup and display. 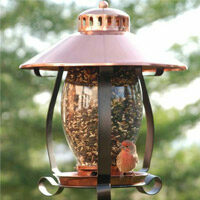 Free standing lighted branches are 5 feet tall and covered in long lasting LED lights. This lighted branch design works well as a decorative accent in your outdoor living space when turned off & doubles as a source of ambient lighting when the sun goes down. Free standing lighted branches are also a beautiful option for illuminating special occassions and outdoor event venues. Fill a vase with a small lighted branch or starburst and then add in floral picks and sprays to create a glowing arrangement for use as a table centerpiece or accent light. If you're using a clear container or vase you can use a filler such as gems or beads to hide the stems. 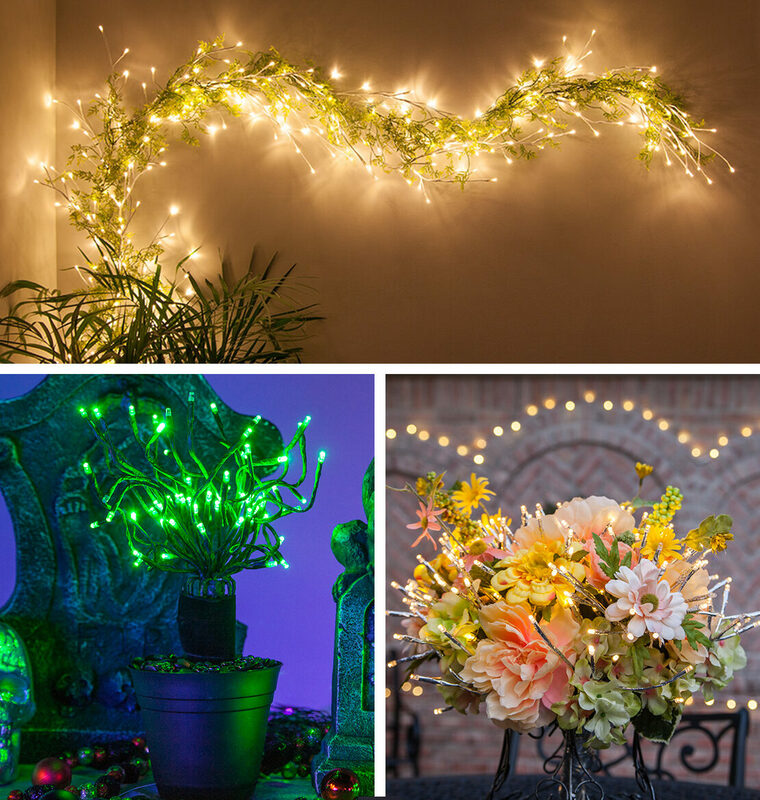 Attach flowers and other decorative embellishments to a climbing vine lighted branch and then use it as wall art or as a decorative addition to a gazebo, covered patio or other outdoor living space! Replace traditional sconce lighting with a falling willow lighted branch by attaching it to an exterior wall. 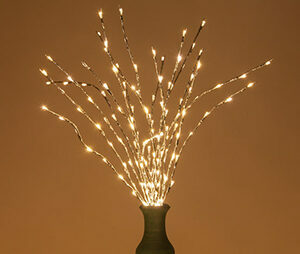 Make a potted tree or planter light using starburst lighted branches. Fill a small pot with floral foam and then push the starburst stem into the foam. Cover the foam with rocks, gemstones or artificial moss. From here you can twist the starburst branches to give them a curly shape or leave them straight. Place your potted starburst along a walkway to guide guests to an outdoor event or in a covered area of the backyard or garden. Fully extend the branches of a starburst light out and around to create a sphere. 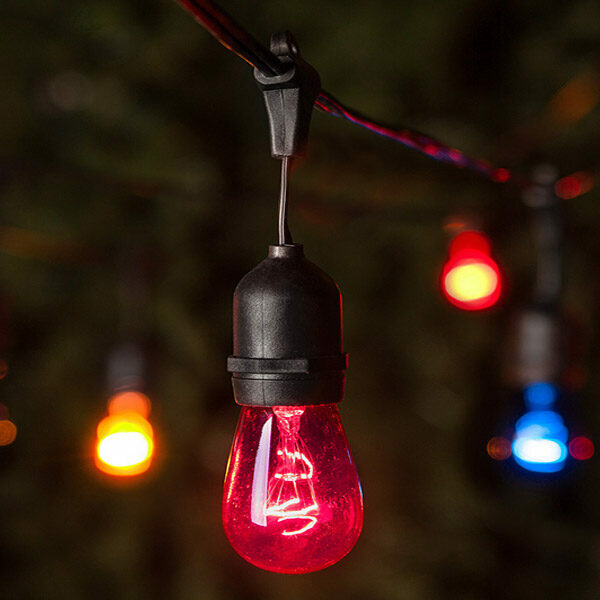 Then, hang the sphere of light above an outdoor dining area or in the center of a gazebo to create a simple and elegant outdoor light in a matter of moments! For even more backyard illumination, hang multiple starburst spheres from tree branches - moravian stars would look beautiful here too! 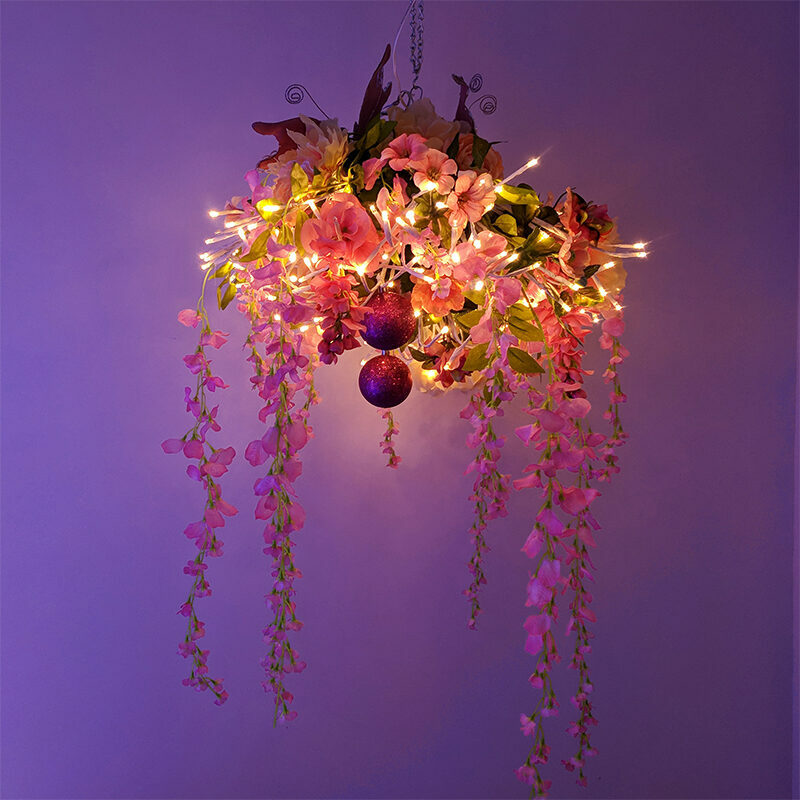 Create a chandelier using a starburst lighted branch & decorative accents! Form a flat disc with your starburst branches by pulling them up and away from the center stem in all directions. When you are finished your starburst should resemble a flying saucer and be able to lay flat against the ground with the stem pointing upward. If you're happy with the uniformity of your "disc" and there is a fairly even distribution of branches on all sides, hold the stem in one hand and take 4 to 6 of the center branches and pull them straight down toward the ground, then bend the ends of these branches upward in an arc about 2 inches from the light at the end of each to create a U shape. These branches should also be evenly spaced around the disc. Now that you have your center branches in place, continue pulling a few branches at a time downward and creating U shapes by bending the ends of each. Rotate the disc as you do this so that you are evenly pulling down branches on each side. The middle branches from step two should point straight down and the others should be angled outward gradually toward the top where the remaining branches are still flat. By now your chandelier should look similar to the undecorated starburst chandelier image pictured below. You can stop here and have a simple and classic chandelier light or continue onto step five to customize your design with embellishments and floral accents. How you decorate your starburst chandelier light will ultimately come down to personal preference. You can keep things simple with just a few floral stems or fill every gap with silk flowers, decorative picks, ribbons and floral clips. However you choose to decorate your starburst lighted branches, we recommend using floral wire or zip ties to secure your accent pieces in place if they don't already have a clip. 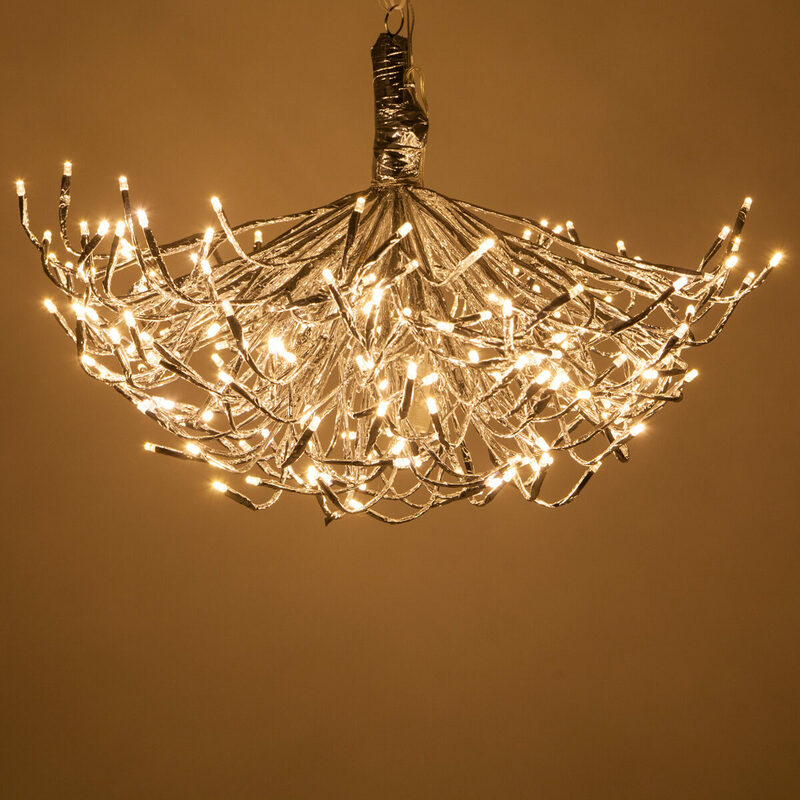 This extra step may add a little time to your DIY project, but it will help ensure that no items fall out of your chandelier while it is hanging or in the event of a heavy wind. Starburst lighted branches are outdoor rated, however if you choose to use floral accents, you may want to hang your starburst in a covered outdoor area where your decorations are protected from the elements.